The process was complicated, imperfect and subject to public controversy, but it stands as one of the most significant examples worldwide of an effort to reduce violence through negotiation with criminal groups. With an annual homicide rate of 60 murders per 100,000 inhabitants, El Salvador is one of the most violent countries in the world. It is also a notable example of the trend towards non-conventional, hybrid and criminal violence. You can read the full article in Sustainable Security and Open Democracy. Thank you! This week, Daesh released a video in which the Jordanian pilot Lt. Muath al-Kaseasbeh was burned to death. The images have triggered retaliation by Jordan, including execution of some prisoners and strikes on Daesh targets. A few weeks ago, Wikistrat conducted a two-day crowdsourced simulation in which its more than 45 analysts (including me) were asked to identify the ways in which the Islamic State could seek to penetrate Jordan. Conquests by ISIS have put the country of Jordan at risk. The group has proclaimed a caliphate that aspires to consolidate political and religious control over the entire region. 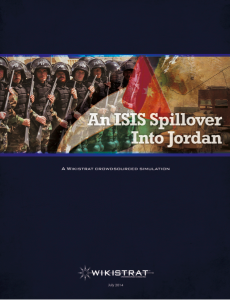 An attempt by Sunni Islamist militants to infiltrate Jordan would pose a significant challenge to the embattled kingdom. But there are opportunities for the country as well. Jordan already finds itself under great pressure, hosting hundreds of thousands of Syrian, Iraqi and Palestinian refugees — some affiliated with the Islamic State, Al-Qaeda and other Salafist groups. Originating from a variety of ethnic backgrounds, the country’s diverse population makes it vulnerable to the influence of radical forces. A serious infiltration by ISIS into Jordan would not only pose a threat to the stability of the Hashemite Kingdom but could also drag Israel and the United States into the conflict. The result of our simulation is this summary report, which highlights four paths the Islamist organization could take to infiltrate Jordan. While none of the scenarios seem promising for the Islamic State, Jordan is under significant pressure from unprecedented numbers of refugees, chaotic civil wars on two borders, turbulent politics and an overall weak economy. Any major misstep could provide the Islamic State with an opening that is not readily apparent. At the same time, recent events may present Jordan with opportunities to improve its security as well. If you wish to continue reading, the whole report can be accessed here. Book Review – Islamist Radicalisation in Europe and the Middle East… and Talking to Terrorists…. 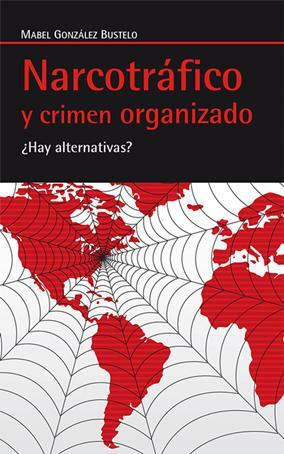 I published this book review in 2013 in the Norwegian Peacebuilding Resource Centre (NOREF). Both books are relevant to understand and clarify concepts and processes related to radicalization, extremism, and terrorism. I suggest the lecture of both for those interested in these processes in the wake of the Paris attacks. George Joffé, ed., Islamist Radicalisation in Europe and the Middle East: Reassessing the Causes of Terrorism , London and New York: IB Tauris, 2013. Anne Speckhard, Talking to Terrorists: Understanding the Psycho-social Motivations of Militant Jihadi Terrorists, Mass Hostage Takers, Suicide Bombers and “Martyrs” , McLean: Advances Press, 2012. Why and under what circumstances do individuals, groups or larger parts of societies radicalise? What are the drivers of extremism? Why do some individuals and groups engage in terrorism? Are today’s radicals tomorrow’s terrorists? The two volumes addressed here provide important insights in answer to these questions. Although they have rather different approaches, both share features that make them remarkable within current debates about radicalisation, extremism and terrorism, i.e. (1) a clear understanding of the differences among concepts and how to approach them; (2) a non-deterministic vision of the origins and nature of radicalism that rejects generalisations; and (3) an analysis of radicalisation(s), extremism(s), and terrorism(s) as context-bound processes that are both multiple and diverse, and that rely on a series of interactions of internal and external drivers. The whole text can be accessed in the Norwegian Peacebuilding Resource Centre (NOREF).